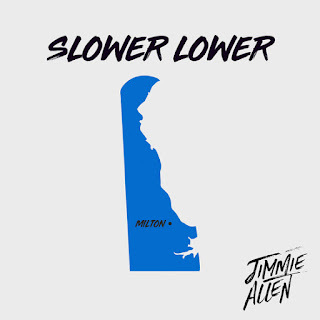 Stoney Creek Records’ Jimmie Allen today released new song, “Slower Lower.” Since May, the critically-acclaimed Country newcomer has shared one new track each month as part of a series called the “Slower Lower Sessions,” all of which were inspired by memories growing up in the ‘Slower Lower’ region of Delaware. Jimmie, who’s debut single, “Best Shot” who is rocketing up the charts (currently at #30), has been on the road this summer, playing festivals across the country while also working on his full-length debut album, due out later this year. Additional tracks from the “Slower Lower Sessions” include “21,” “Happy Hour” and “Warrior.” “Slower Lower,” written by Jimmie Allen, Ash Bowers and Randy Montana is available for purchase HERE. For tour dates and more information, visit: www.JimmieAllenMusic.com.